She knew the blood was hers, but didn’t dare check to see where it came from. Her nose? Her lip? It didn’t matter anyway; they were both as numb as her heart was at the moment. Mrs. Brikker wanted to check on her twelve-year-old son who was also beaten down on the kitchen floor, but doing so was certain to show more concern for her son than for her husband. Experience told her that she must guard against antagonizing her husband any further. Still, her crying eyes called to her son, Cody, are you okay? However, her mouth remained silent. “I’m going to change my jacket and go to work. We’ll discuss this after dinner.” He slid his jacket off his shoulders, down his arms, and held it by the collar. Cody jumped up from the floor. “No, we won’t!” he yelled, barely looking at his mother. His voice wasn’t any deeper than those of his female classmates at school. We won’t what, young man?” his father taunted. Cody didn’t know what he resented more: the disgrace his father brought to his shiny, colorfully decorated Army uniform; or his mother’s complacency and cowardice toward HIM. Cody snatched a six-inch knife from the wooden block of knives neatly displayed on the kitchen counter. His eyes seemed to soften and calm, as did his voice. “We won’t talk. You are going to have to do better than this if you want to keep us down. You’ve hurt us for the last time, you….” He cut his own words short when he lunged at his father’s gut with the thick, sharp blade. Inches before the tip of the knife could reach his father’s stomach, Cody saw something from the corner of his eye. His father’s huge fist. A fist as big as Cody’s whole head. It was also the last thing he felt before collapsing on the floor at his mother’s side. His world instantly went black and quiet. Mrs. Brikker cradled her son’s limp head in her lap. Both parents looked at the knife that had fallen, unstained, to the floor. Mrs. Brikker turned her head away as Mr. Brikker reached down and picked up the knife. Somehow, she didn’t care to wonder what he was about to do. She hardly noticed that he politely picked it up, wiped it off with a dishtowel hanging from the refrigerator door, and placed it back in its wooden holder with the other knives. As usual, her fight ended in a mental fog as her husband casually walked out of the room. Read the rest of the story to find out how Cody tries to protect himself and his mother by confronting his father! Who will support Cody though his tragedy? Who will try to defy morality by looking like the “good guys? Who will come from the shadows to become the heroes? 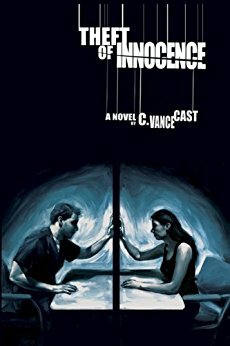 Read Theft of Innocence and Change your life.